Got students who don’t like to read at all? Augmented Reality books can change that! As a former student that hated reading, but turned Reading Specialist, I’m astounded by the statistic from the National Report Card that says that only 37% of our 4th graders are reading proficiently. This is crazy! 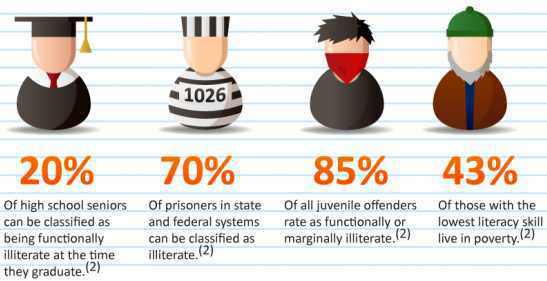 If a little over a third of our students are reading proficiently, what does this mean for the future of our country? This is scary when you really think about it. I know many students are like I was in school and don’t like to read at all. Thankfully, that is not the case any longer for me and I really enjoy helping students learn to read better. I think perhaps because I struggled with reading, I can empathize with those that do and can help them to become better at it and dread it a little less. Many times, students haven’t found anything that interests them and therefore they don’t want to put the time into reading some “boring ole book!” Or, they are too embarrassed to check out books that are on their reading level and way below what they should be able to read. Well, I have a solution for these reluctant readers. And, if it works on my own teen boys whose native language is Russian and not English, then it should work on your reluctant readers too. What I’m talking about are AR books. Not Accelerated Reader books, but Augmented Reality books. You know, books that come to life right before your very eyes! Augmented Reality or AR books have images that when scanned with a device and a specific app will literally pop right off the page. There are many AR books out there for young learners. Kids of all ages love to read and experience H.C. Anderson’s original fairy tale about The Little Mermaid who swaps her fishtail for human legs to be able to follow her heart. The great thing about this book is that it lies flat, making it easy for the young reader to hold on to the iPad while experiencing the book. Some of my other favorites for young readers are the Arbi books, https://www.arbibook.com. These storylines are exactly what our kids need to hear. Teamwork, friendship, getting along and working together are skills that are so important and they are valued and the focus of these stories. Rocks In My Socks, is the story of Gracie, an adorable pint-sized pink triceratops, who learns about acceptance through some unexpected visitors that show up in her favorite pink and white striped socks. There are 13 activities that can be played manually with colors, markers, or pencils. Learn about colors, matching, recognition, colors and music associations, and even some of Gracie’s favorite dance moves. Holo Pop Ups, https://holopopups.com/ has a handful of books that foster learning in an innovative way – vocabulary, spelling and science all become part of the fun! The characters leap out of the page, living, breathing and speaking to you. And, who could forget the Color Alive Coloring Books from Crayola. They give kids the opportunity to see their coloring pages come to life right before their very eyes! And, of course, we know educators of the little ones swear by the Alive Studios’ My Letters alive Journals, which help early readers with letter naming, letter sounds, and letter writing. Alive Studios also has a super cute story that teaches the value of being on time, Amos Arrives at the Airport. You definitely need to check those out if you haven’t yet. Even if you are a parent of little ones and not a teacher, you will love how easily your kiddos can learn their alphabet with them. I love all the great AR picture books and I’m still very excited over those, but I’m really pumped for the books for older readers that are interactive and engaging! For example, the company Anomaly World, http://www.experienceanomaly.com, has many books that will particularly attract those that are interested in science-fiction, fantasy and comic books. Their flagship book, Anomaly, is an epic tale of deception, redemption, and unity set on a strange alien world and the longest original full-color graphic novel ever published. With lush illustrations, action-packed storytelling, and awe-inspiring interactive features, Anomaly is a must-have multimedia experience for any reader, especially the reluctant one. They have several graphic novels and comic series that use augmented reality to engage their readers. The most exciting part for me is that these books and many others are becoming more and more sophisticated, not just in the artistry and AR, but also in the content of the storylines. There are more and more graphic novels and even novels for young adults that are incorporating AR. I’m really pumped for these new books for older readers that are interactive and engaging! When my, then 17, year old son was looking at the @AnomalyWorld AR graphic novels for the first time with me, we were both blown away by the digital graphics along with the intense and interactive AR that was popping off the pages. I knew this company was onto something, when he said, “Wow, I can’t wait to read this book to see what this (AR character popping off the page) is all about! I want to learn more about him!” What? A 17-year-old, non-native English speaking boy wants to read a book? Yep, pretty powerful stuff if you ask me! Personally, I really liked the Anomaly Productions illustrated novel, Between Worlds. It’s a story of misfit teens that wander off during a school field trip to the forest, on a dare to find a local legend, The Wishing Tree. But they get more than they bargained for when they find themselves in Nith, an alternate universe. Along with amazing new powers and furry friends, Nith holds danger and intrigue. With the help of the mysterious Aaron, these two friends try to find their way back home. But some of the inhabitants of Nith have other plans for the teens… Together, Mayberry and Marshall must learn to control their new powers, escape their enemies, find their way home, and come to terms with their growing attraction. This book reminded me of novels I would read as a teacher to my middle school students. Yes, I made it a common practice to read aloud to my teen students who were often reluctant readers. You should too! The storyline is great and very engaging and about every two or three chapters, you get to an amazing illustration in the novel that you could scan with your mobile device and app to see that character come to life. My son couldn’t wait until he got to one of those pages to scan and neither could I. The anticipation of the next one, kept us both reading. I also like that the AR in books for all level of readers is becoming more and more interactive! Not only is something coming out of the books, but you can actually interact with and control some of the AR content. Seeing is believing, but holding it in your hand and manipulating it, is way better! This same company has a new book releasing this coming summer that I’m very excited about, called Creative Creature Catchers! I’ve been lucky enough to preview it and it’s incredible, but designed for younger readers. The story is basically, that there are lost baby creatures all around us who just want to go home, and they need your help! Welcome to the Society of Creative Creature Catchers! You’ve been chosen to join the CCC because you’re smart, caring and REALLY fun! Your mission is simple: Find and learn about a variety of fantastical animals who have ended up lost in our world and it’s the reader’s job to send them home to their families! Some hid in the curtains. Others hid under the bed. Don’t worry. They won’t hurt you. They’re scared, and their parents are worried about them. But this is just half the story. Creative Creature Catcher isn’t just about reading. It’s about doing. Anyone can read about these unfortunate animals, but Malcolm will teach you how to get personally involved and will even read the story to reluctant readers. I can’t wait to be able to use the interactive hide and seek game with students. If we are going to get and keep students reading and advance that percentage of proficient readers, our first step is to actually get them reading. Giving students books that initially pique their curiosity is a great start. For more AR books that I’ve previewed and used, check out http://tiny.cc/ARbooks. If I can help you introduce these and many other great AR books to your students and colleagues, please don’t hesitate to contact me. 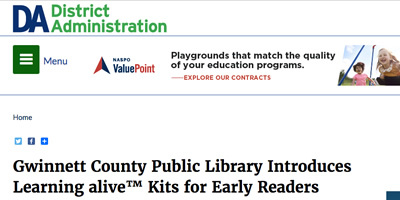 Thanks to a generous donation from the Atlanta Retailers Association (ARA) that was matched by the Community Foundation for Northeast Georgia, Alive Studios (https://bit.ly/2zvt5tF) is equipping all 15 Gwinnett County Public Library branches with its evidence-based Learning alive™ kits. Alive Studios is a Gwinnett-based software developer that creates mind-boggling learning experiences to increase student engagement and improve early literacy. Students are motivated and inspired as they interact with 26 virtual zoo animals while learning the essential fundamentals of reading and math. Alive Studios’ programs use a technology called augmented reality (3D without glasses) to bring lessons to life. The learning kits are currently being used in more than 3,500 classrooms around the country. “We’re very excited to be the first public library in the country to roll out this program,” said Shelly Schwerzler, the development manager at Gwinnett County Public Library. The library system plans to make this highly engaging learning experience available to children all around Gwinnett. “Our youth services team will be incorporating this new way to learn about letters, words, and sentences into our existing early literacy programs,” Schwerzler added. The Learning alive Plus kit that will be donated to each library branch includes 26 letter cards, 97 sight-word cards, and 84 word-family cards. Each card is interactive and triggers multiple 3D animations depending on the word or sentence that is created. While learning to identify and sound out each letter, children are able to hear, see, touch, build, and speak throughout the lesson. This multimodal approach appeals to a broad range of learning styles and abilities, increases long-term retention, and is especially effective with at-risk students and English language learners. Also included are three Interactive Stories and a full, supplemental math program aligned to state standards for kindergarten. I teach at a Title 1 school and have 21 students in my kindergarten classroom. My students speak six different languages, and 95 percent of them are English language learners (ELLs). My approach to teaching is “relationships first.” I teach students, not curriculum, and I believe in creating high-quality lessons and curriculum and delivering that material in a FUN and engaging way! I have high expectations for my students and encourage risk-taking, exploration and fun! When it comes to technology, the kids use iPads, laptops and Kindle Fires, as well as our Smart Board. For about two years now, we have used the augmented reality platforms, Letters alive and Math alive, and they have been a huge success in our classroom. A couple of months ago, we took things to the next level and started using the Sprout Pro G2 Learning alive Station. 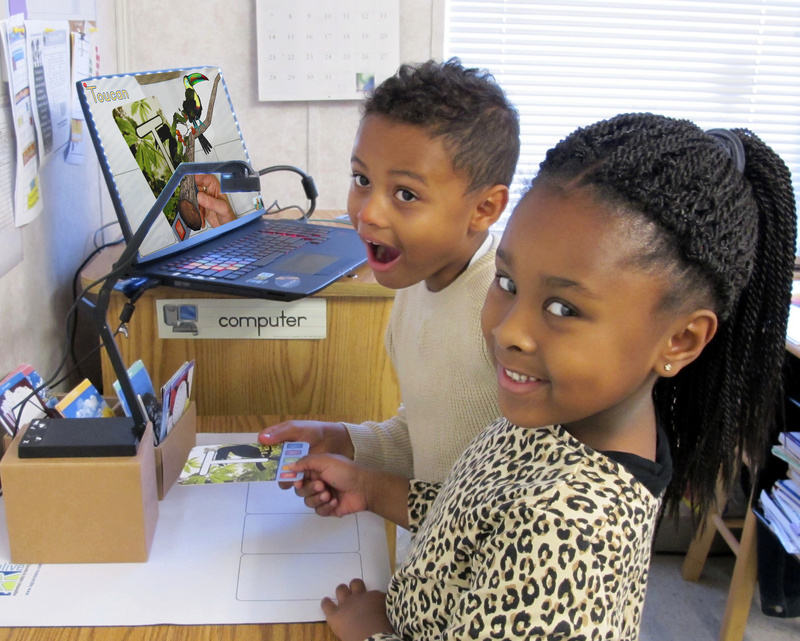 The station combines the 3D augmented reality cards of Letters alive and Math alive with the Sprout’s built-in high-res document camera and 20-point Touch Mat to give my students a highly interactive, cross-curricular 3D experience. Implementation of the Sprout was seamless. With just the touch of two buttons, I was up and running. There are no cables to connect, and everything is contained in one piece of equipment. 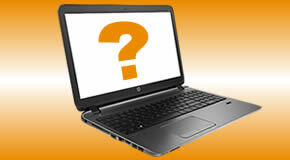 This eliminates a lot of the tech issues for the kids and teachers and means they can use it on their own. I love that the mat is like a second screen. The activities and interactive buttons project onto the mat in vivid color for kids to touch and explore! And makes the Sprout experience more like a touchscreen tablet that our students are so familiar with! This, along with the manipulative flash card sets, help with learning letters and letter sounds as well as word and sentence building; not to mention the math skills. One of our favorite things to do is build words with Letters alive. I’ll say a word and students find the letter cards and spell the word. Then they push the button to hear the sounds and the word. This provides them with scaffolded practice with phoneme segmentation and blending their sounds into words. Once the students are familiar with this activity, it actually becomes an independent learning center that my students do on their own. They use picture cards and build the words on the card using Letters alive, and then write the word. This gives them a multi-modality approach to word work! For our classroom, this ability for students to use the technology is vital because it’s their classroom and their technology and their learning, and I want my students to have access to everything in their classroom! We first introduce Letters alive to each class during our 26-day ABC BOOTCAMP at the beginning of the year. 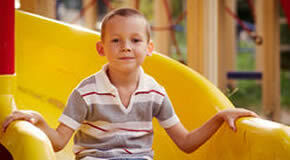 ABC BOOTCAMP is our research-based curriculum for learning letters and sounds. We use the Letters alive animal cards to introduce the letter and sound before the class creates a circle chart for the letter of the day. The 3D augmented reality animal associated with the letter of the day really gets the students excited. Learning about the animal while learning the letter ties in science and connects this system to our STEM initiatives. With Math alive, we use the interactive games to bring our greater than/less than lessons alive with Amos Alligator. The students predict which number or group will be bigger, then they move the symbol and we see which number Amos eats. This game on Math alive makes the students so enthusiastic and truly brings this skill to life for all types of learners! One of the benefits I see to using augmented reality with my kindergärtners is that it brings abstract skills and concepts to life in a concrete way. This shift from abstract to concrete makes the skill and learning more accessible to our students. The results are clear, too. At the end of ABC BOOTCAMP we have an average of 90% mastery of all letters and sounds. When using Learning alive as a supplement to our ABC BOOTCAMP curriculum, we’ve seen literacy scores improve—and the laughter and squeals of excitement are sure signs of the learning and engagement happening! Our next project with the Sprout will be integrating it into our learning centers time so the students can use it 100 percent independently as a center choice. They will be able to set up their own augmented reality station and connect with their favorite animals, all the while working on word building, sight words, letter sounds and sentences. Check out this great PodCast from CoolCat Teacher featuring Greg Smedley-Warren of Kindergarten Smorgasboard! Listen to the actual PodCast here! 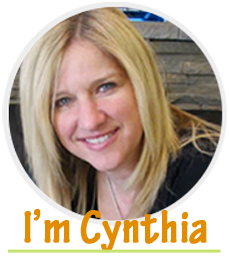 Vicki: How can we engage kindergarteners with technology? He does a lot of work on the Kindergarten Smorgasboard. So, Greg… How do we engage kids in kindergarten with technology? Greg: Hi Vicki. Thanks for having me. So, I’m all about keeping it simple. I’m always on the lookout for very simple ways that I can engage my kids with technology — ways that are easy for them, but also easy for me so I don’t spend a lot of time fumbling with technology trying to get it working and set up for the kids. So I’m always on the lookout for really simple ways that the kids can interact with technology. Vicki: OK. Give us some of those ways. Greg: One way is iPads. Most of the kids are completely familiar with iPads and tablets and phones, so we have some iPads in the classroom with some folders. We have a reading folder and a math folder full of apps, so the kids know they can grab those iPads, open those folders, and use any of those apps. We also use Augmented Reality in the classroom. We use a program called Learning Alive Plus from Alive Studios, which is an augmented reality software that works with letters, phonics, and word building. So we use that a lot. The kids actually use that during Center Time, so they’re working with that augmented reality to build words and sentences. Vicki: Describe for us how that works, because I know there are a lot of people — even though we’ve had some shows — they might not know what augmented reality is. Greg: Augmented reality is basically 3-D without the glasses. So when the kids are interacting with the software, the images are coming alive in 3D on the screen for the kids. Vicki: It’s just floating in space, or somewhere in your classroom. Greg: Yeah… it’s on the screen. So it’s on the monitor, or if you’re using a projector it’s projected on the screen or a SMARTboard. The best way to describe it — which I think everyone can relate to — is Pokemon Go. So if you’re kind of familiar with Pokemon Go, that’s augmented reality. That’s kind of what it looks like when the kids are using it in the classroom. Vicki: What are some of your favorite “go-to”s for reading? Greg: For reading as far as apps, we do Letter School, which is great for letter formation and letter recognition. Montessori Words for Kids is my favorite, probably, of all for reading and literacy. It’s great for sound identification, segmenting sounds, word building, and decoding words. It’s very interactive. The kids love it. They work on their letters, and once they build a word, then they get 10 seconds to play and draw before they go onto the next word. So there’s almost that instant reward every time they build a word. The kids love that. For math, I’m a big fan of Monkey Math School, because it’s not just focused on one skill. It’s a constant review of all the kindergarten math skills that we work on. My kids’ favorite math app is called Subitizing Tree, which works on that all-important math skill of subitizing, which is basically number fluency. The kids love that. I hear them all day long, jumping up and down and screaming and cheering because they were able to subitize with that app. So those are some of my favorites. Vicki: Cool! So you have iPads, you have all of these things, you’re doing Alive Plus, which is augmented reality. Greg: We also do a lot with QR Codes. We use Amazon Kindles with our QR Codes. I’ve found that the Kindles work great with the QR Reader. I’ve never been impressed with the KIndles as far as using a lot of apps, but they work great for QR Codes. I’ve created several sets of QR Codes for math and literacy. The kids use the codes, they scan the codes, and an image of a document pops up. They might be doing sounds or counting or shapes or word building. The kids really love that they can use the QR codes around the room and interact with technology that way. Vicki: It’s kind of like passing out digital papers. Is that how you would kind of summarize the QR Codes? Greg: Pretty much. My kids use them during Center Time. A lot of teachers actually post them around the room, so the kids are walking around the room with their tablets, scanning the QR Codes and working on them that way. Vicki: Yes. And I believe that QR Codes are now built into the iPAd iOS for Apple devices. Greg: Awesome. Oh, that’s good to know. Vicki: Yeah! New little tidbit. I just read it, like last night. Vicki: OK. Lots of cool things. What else? Greg: Like I said, I’m a big fan of keeping it simple. So that’s really what we use, as far as technology. We do have an interactive whiteboard in the classroom as well that we use a lot for whole group instruction. The kids use the SMARTboard during centers, so they’ll be doing some word building and word writing, and those kinds of things. One of the things that I use my SMARTboard for is a lot of teacher things. So like in the morning, we take attendance. As the kids come in each morning, their pictures are on the SMARTboard. They move their picture from home to school, to show that they are at school. And then I have what I call my boombox, which is a PDF document that has clipart linked to songs and videos that we use on YouTube. Whenever I want to pull up a song for the kids to use, instead of typing in the name or something, or searching for it on YouTube, I’m able to just touch on that boombox, and it will immediately open that song or video. It just makes my life a little bit easier as a teacher and keeps things moving. What Mistakes Do You Make Using Technology with Kindergarteners? Vicki: Have you ever made a mistake when you started using technology with kindergarteners? Greg: Oh gosh. All the time. But my biggest issue is always with YouTube, it seems like. One minute YouTube works great, and the next minute nothing will load. Or you pull up a video and even though it is a kid-friendly video, a kindergarten video, the ad before it is something inappropriate, so you’re scrambling to try to turn if off or make it stop. That’s really where I struggle with technology — just, “Is it going to work today, is the internet going to work today, and then something inappropriate popping up on YouTube which is unfortunately not a lot that we can control. Vicki: So what, Greg, is advice that you have for kindergarten teachers who feel a little bit scared of using technology in their classroom? Greg: I get it. It’s new. It kind of seems like it’s more to have to do. So I would just say start slowly. If you’re comfortable with a technology, try to bring that into your classroom. Kind of build on it from there. If technology is an area that we’re kind of scared of, maybe that’s a risk we need to take. We need to bring in some more technology into the classroom. The worst that can happen is that it cannot work. It can fail. And we can have great conversations with our kids about how, even as adults, we fail. Now we can learn from that, and we can be better. What To Do When Technology Fails? Vicki: Oh, that’s so great!. I have to ask this. What do you do when the technology just crashes and doesn’t work? That strikes fear in the heart of teachers! It really does. But you know, I think as our kids are getting so much more used to technology, they’re now used to technology not working. I think it’s gotten a little bit easier, because the kids are like, “Oh, it’s not working.” Or they’ll immediately say, “Oh, the internet’s not working.” They just kind of roll with it, and we move on. Of course, they’re going to be disappointed. But we just kind of move on to whatever’s next, try to keep going, and not let it completely derail the lesson or derail the whole day. Vicki: Really, though… what percentage of the time does it actually not work? Greg: Probably 5-10% or less. It’s not a major everyday occurrence, but it does happen. And of course, it always happens when you’re being observed and evaluated by administration. Oh my goodness! That is what happens, isn’t it? Vicki: And then you’re so scared about what they’re going to think. Vicki: OK. So Mr. Greg has just shared lots of great ideas for our kindergarten classrooms. But here’s the thing. If he can do it in kindergarten, you know you can do it with any age. It’s part of being a remarkable teacher. We’ve had so many fantastic ideas. Get out there and try some of them today. This teaching tool is captivating, engaging, and just plain fun! Will Your Summer Program Prevent the Summer Slide? Some experts say early learners lose up to two years of knowledge retention through the summer months. Make it a summer to remember with our fun, engaging programs for reading and math! Will You be Someone’s Favorite Teacher? I was recently asked to name my favorite teacher. Now, considering it’s been over twenty years since I’ve had a teacher, it took me a minute to think. But even after chewing on it for a bit, I realized not only did I not have a particularly favorite teacher, I barely had any memorable teachers at all. Thinking through my 17 years of schooling, I could only recall about six teachers by name even though I’ve had well over 50. I remembered them because they were creepy, crazy, or creative… not necessarily because they were favorites. 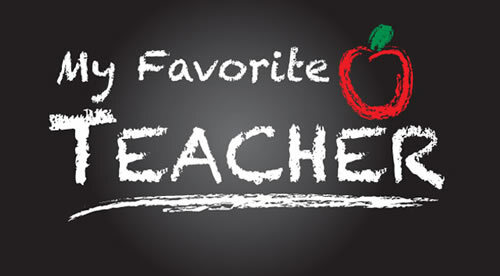 What makes a teacher a favorite? I think the answer is pretty simple: a favorite teacher is one who singles you out with positive, individual attention and gives you a few direct compliments that are specific to your gifting. I’ve asked several people this question. Most people actually do have a favorite teacher; and their reasons are mostly the same. This singled out educator held a coveted position because he/she gave individual attention and directed words of wisdom and encouragement specifically to the student. Why are most teachers forgotten? I think that answer is equally simple: most teachers are forgotten because they teach classes, not individuals. The students are treated as one body, with very little, if any, individual attention. I reflected more about my 17 years of schooling and certainly confirmed this fact in my own experience. Throughout our school years, we are but mere chalkboards (showing my age) on which teachers can mark with wisdom. Some marks are beautiful, cherished, and protected from defacing. Other marks are scribbled, softly written, and blow away with time. Yet, there are also marks that are deep, hurtful and scar through the years. Teachers hold this power. They can shape, mold and build, or they can simply have no lasting effect at all. The best teachers, the ones that are recognized and remembered, know this to be true. Will you be remembered? And if so, how? Who was your favorite teacher? Why were they special to you? Think about this and make these next few days/weeks count for each of your students. Leave a beautiful mark. Tell each of them how special they are and that you believe in them. You may be the only person to ever tell them this. 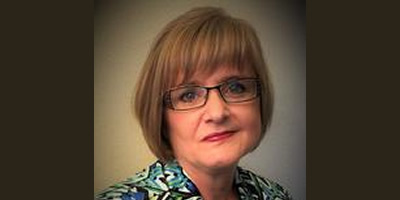 Early childhood educators attending the National Title 1 Conference in Salt Lake City this week will be treated to a hands-on experience of the latest in 3D augmented reality (AR) curriculum. Alive Studios has announced that it will launch and demonstrate their newly integrated Learning alive Suite of AR-based learning products that supplement reading and math curriculum for early educators. Administrators and district-grouped educators are encouraged to visit booth 535 early to schedule a hands-on demonstration. Math alive, a full-year, game-based supplemental math curriculum, is the newest addition to the Learning alive Suite. Math alive uses AR to engage students in 7 essential units of math comprehension. The 3D technology engages children, who say they learn “without even realizing it.” The Lesson Plan Manual is directly mapped to Common Core State Standards for Kindergarten and makes classroom integration seamless. Math alive allows students to interact with some of the same animals from Letters alive, the flagship product from Alive Studios. The combination of reading and math makes the Learning alive Suite comprehensive over subjects and further engages students. The full Learning alive Suite includes Letters alive, Math alive, and Storybooks alive. Both Letters alive and Math alive feature curriculum guides that make classroom integration effortless with lesson plans, worksheets and activities, enabling full learning integration. Storybooks alive includes captivating, digital, interactive stories that teach children honorable character traits. Letters alive is a supplemental reading curriculum currently in use by educators in 11 countries and in hundreds of classrooms across the United States. Letters alive was designed in alignment with Common Core State Standards for Kindergarten classrooms, as well as early childhood reading within grades 1 – 5 for ESL students, RTI students and students with special needs. The curriculum gets students excited about reading by using the same mind-blowing, computer-generated augmented reality technology implemented by the Imagineers at Walt Disney World, only in the classroom, where 26 alphabet cards spring to life to help students grasp key concepts in reading. To receive interviewing contact information for parents, teachers, school, or district administrators, please contact Ian Bryan, 828.713.3310, pr@alivestudiosco.com. California PK1 was a Hit and they LOVED Letters alive! OK, we’re back from Santa Clara! What an awesome time at the PK1 Show! This two day show was small but power-packed. It is always so cool meeting like-minded people who get jazzed about teaching PreK – 3rd Grade children. We met so many fantastic folks from all facets within California’s PK1 initiatives. The demos of our Supplemental Reading and Math Solutions were such a blast! We never stop smiling thinking about people’s facial expressions when they first see our Augmented Reality characters jump of the screen and respond to the curriculum activities. California has a real push behind TK-1, the transition of children from Kindergarten to First Grade. Thank goodness they recognize the importance of striving to get the kids proficient in reading and math early on; This establishes the solid foundation for their continued education. We hope to be a small part of that effort. Our Supplemental Reading and Math Solutions are the first ever to infuse Augmented Reality into an educational curriculum. The level of engagement and excitement from kids is unparalleled and teachers are loving it in their classrooms. This is what we are attempting to convey during our demos. God bless the neighboring exhibitors who have to endure our 26 characters chirping, bellowing and roaring through the showroom aisles. Hah! If you were one of the many who stopped by to see us, drop us a line and say “hello.” We’d love to hear from you and are so excited to have been introduced to the great things going on in California early education. Oh! And a HUGE congratulations to Katie Uebner for winning our drawing for the FREE copy of the Learning alive Suite, our Supplemental Reading and Math Software Solution for PreK to 3rd Grade (valued at $1,295).